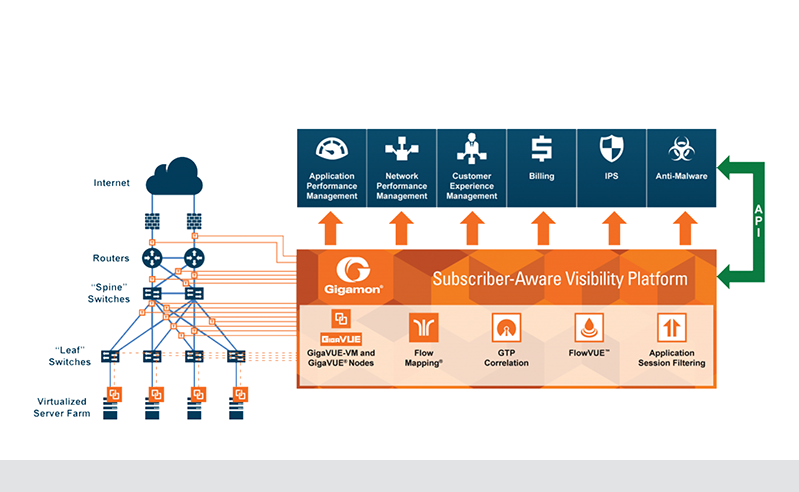 Gigamon introduced a subscriber-based IP sampling paradigm which helps service providers turn big data into manageable data providing greater visibility and insight. The new capabilities in Gigamon’s FlowVUE application enable users to send overlapping flow samples to multiple analytic tools at the same time. Gigamon said that by expanding tool rail depth of analysis, operators can gain a multi-dimensional understanding of subscriber behavior and deeper traffic insight for improved and actionable intelligence. Turkcell has selected Ericsson to manage and operate its mobile and fiber optic fixed network, which includes microwave links and covers all technologies from 2G to 4G/LTE. Ericsson is now Turkcell's exclusive managed services partner in the Marmara region, which includes Istanbul. The deal extends a long-term partnership between the two companies. Financial terms were not disclosed. Ericsson said it will also introduce tools, processes and refined ways of working to improve performance, predictability, and quality of services as part of the deal. Gediz Sezgin, Senior Vice President of Network Technologies at Turkcell says: "Our ongoing strategic cooperation with Ericsson extends beyond our requirements as a mobile network operator. At Turkcell, we continue to invest in both our current network and future technologies. We feel that our ideologies regarding the future of ICT are aligned with Ericsson. We see this cooperation as a milestone in order to reach common goals." Arista Networks reported Q3 revenue of $290.3 million, an increase of 8.0% compared to the second quarter of 2016, and an increase of 33.4% from the third quarter of 2015. GAAP gross margin came in at 64.2%, compared to GAAP gross margin of 63.8% in the second quarter of 2016 and 65.2% in the third quarter of 2015. GAAP net income was $51.3 million, or $0.69 per diluted share, compared to GAAP net income of $28.7 million, or $0.39 per diluted share, in the third quarter of 2015. 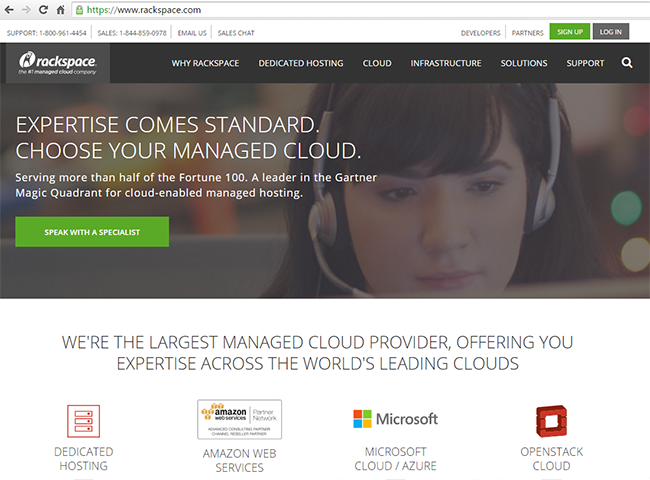 Rackspace is now a private company. It was acquired by affiliates of funds managed by affiliates of Apollo for $32.00 per share in cash. In connection with the transaction, funds managed by Searchlight Capital Partners, L.P. also made a strategic equity investment in the acquired company. Rackspace's common stock will no longer be listed for trading on the New York Stock Exchange. "We are excited to begin this new chapter for Rackspace as a private company," said Taylor Rhodes, president and CEO of Rackspace. "I would like to thank our Rackers around the world who, throughout this process, have remained focused on serving our customers. 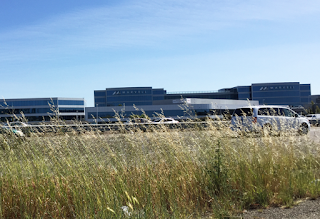 Every day they deliver expertise and Fanatical Support for the world's leading clouds. We look forward to working with Apollo as we manage Rackspace for long-term growth and expand our early leadership of the managed cloud market. We believe that the best years for Rackspace are yet to come." Rackspace (NYSE: RAX) announced plans to go private in a buyout led by funds managed by affiliates of Apollo Global Management. Under the deal, Rackspace will be acquired for $32.00 per share in cash, representing a premium of 38% compared to Rackspace's unaffected closing stock price on August 3, 2016, the last trading day prior to news reports speculating about a potential transaction. In connection with the transaction, funds managed by Searchlight Capital Partners will make a strategic equity investment in the acquired company. The transaction has a total value of $4.3 billion, which includes the assumption of $43 million of net cash. Taylor Rhodes, president and CEO of Rackspace, said, "We are presented with a significant opportunity today as mainstream companies move their computing out of corporate data centers and into multi-cloud models. Apollo and its partners take a patient, value-oriented approach to their funds' investments, and value Rackspace's strategy and unique culture. This is an exciting transaction for Rackspace and we look forward to working closely together." Goldman, Sachs & Co. is acting as financial advisor to Rackspace and Wilson Sonsini Goodrich & Rosati, Professional Corporation is acting as its legal advisor. 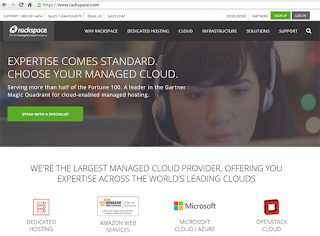 Rackspace, which was founded in 1998 in San Antonio, provides businesses with expertise and exceptional customer service for the world's leading cloud platforms, including AWS, Microsoft, and OpenStack (the open-source cloud platform that Rackspace co-founded in 2010, along with NASA). Rackspace has been publicly traded on the New York Stock Exchange since 2008. The company reported 2015 revenue of $2.0 billion. Rackspace collaborated with NASA to develop OpenStack in 2010. 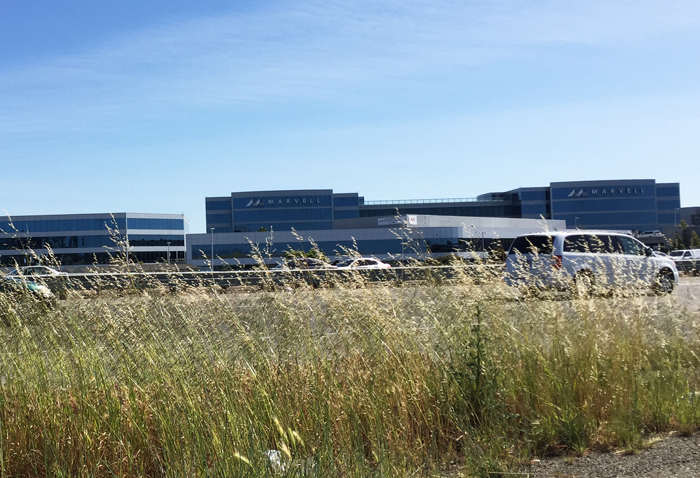 Canyon Bridge Capital Partners agreed to acquire all outstanding shares of Lattice Semiconductor Corporation (NASDAQ:LSCC) for approximately $1.3 billion inclusive of Lattice’s net debt, or $8.30 per share in cash. This represents a 30% premium to Lattice’s last trade price on November 2, 2016, the last trading day prior to announcement. Lattice supplies low power FPGA, video ASSP, 60 GHz millimeter wave, and IP products to the consumer, communications, industrial, computing, and automotive markets worldwide. The company is based in Portland, Oregon. 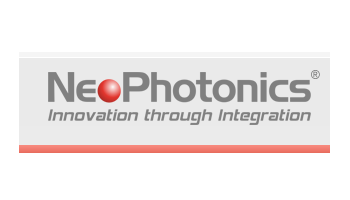 NeoPhotonics, which supplies advanced hybrid photonic integrated optoelectronic modules and subsystems, posted record Q3 revenue of $103.3 million, up $19.8 million, or 23.6%, from the third quarter of 2015, and up $4.2 million, or 4.2%, from the prior quarter. Gross margin was 26.6%, down from 28.4% in the third quarter of 2015, and down from 27.8% in the prior quarter. “In our third quarter NeoPhotonics delivered solid results with revenue of $103.3 million. High Speed 100G and above products again increased to a record 67% of revenue with unprecedented demand for our 100G and beyond products, which we are seeing as a sustaining mid-term trend,” stated Tim Jenks, President and CEO of NeoPhotonics. “Demand for leading edge high speed products plays directly into our core competencies, making us optimistic about our growth prospects going forward,” concluded Mr. Jenks. Marvell Technology Group announced restructuring actions intended to refocus its research and development (R&D), increase operational efficiency and improve profitability. The company will discontinue specific R&D programs, streamline engineering processes, and consolidate R&D sites. The restructuring, which will eliminate approximately 900 positions worldwide by the end of October 2017, will lower annual operating expenses from a current annualized run rate of $1.08 billion to the $820-840 million range. In addition, Marvell said it plans to divest non-strategic businesses with approximately $60 million in operating expenses and $100 million in revenue, based on a first half of fiscal 2017 annualized run rate. Matt Murphy, Marvell's President and Chief Executive Officer, explained, "The single biggest factor limiting the potential of the Cloud and utilization of billions of connected devices is the bandwidth of today's technology. By focusing on our strengths in storing, moving, and accessing data at high speeds, Marvell is well-positioned to enable the technology of tomorrow."